This place has been on my to try list for a very long time, especially because I am already a fan of its sister Umami Burger. 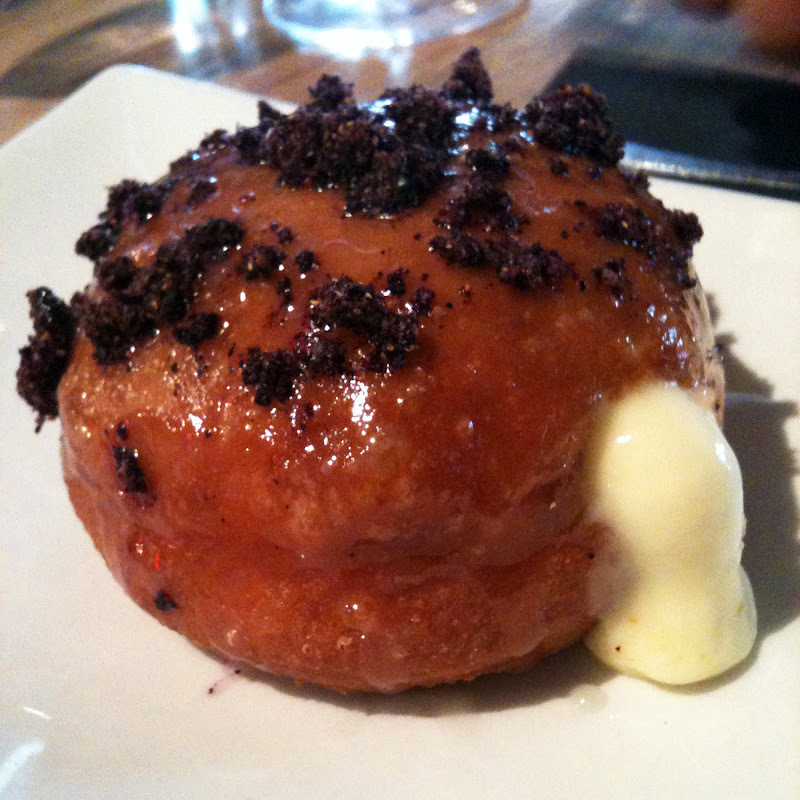 But unlike its sister, Umamicatessen boasts more than just savory burgers. It takes the traditional deli to a whole new level: burgers, all things pork, and donuts galore! My friend Lara and I shared two burgers: the Ahi Tuna Burger which is on the Umami Burger menu and the Shrimp Burger which is exclusive to Umamicatessen. 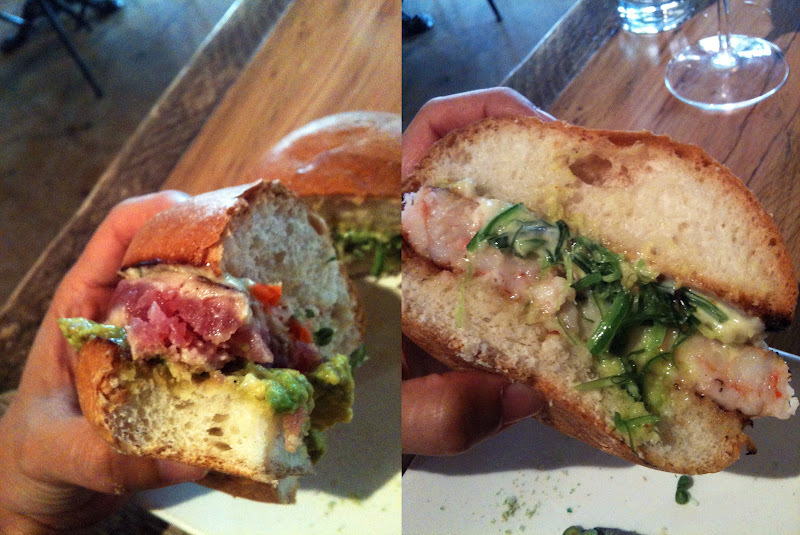 The Ahi Burger was perfectly seared, juicy and raw so no complaints here, but no blow my mind either. The Shrimp Burger was the standout star. The shrimp patty reminded me of the shrimp dumplings (ha gow) at dim sum, which is tender and sweet. Atop is a layer of Wakame salad (seaweed salad) which gave it the savoriness and texture to balance the shrimp. We didn't want the burger to end. 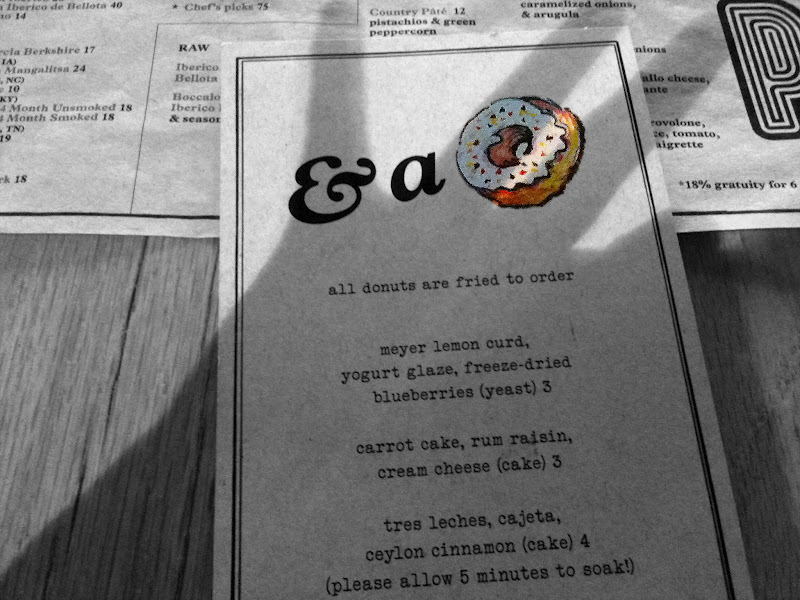 For dessert, we had a long list of gourmet donuts to choose from but we ended up sharing just one, the Meyer Lemon donut. A sweet, sour and gooey end to our meal. But since I didn't want it to end, I decided to order one of each of every donut to go...gluttony at its best and I'm not ashamed. For my new eat, I checked out Mike's Deli #2 in Downtown LA because I tend to buy lunch when I'm having a lazy week at work. It's a relatively new, clean spot in Little Tokyo near City Hall. The other lunchers consisted of the City Hall office crowd and LAPD officers. Inside there are 2 deli cases and a wall of refrigerated drinks. Seating is only outside in a small designated area. The menu features a lot of Boar's Head everything - meats & cheeses. They had a lot of delicious sounding specials, but they featured turkey, which isn't necessarily my favorite meat. 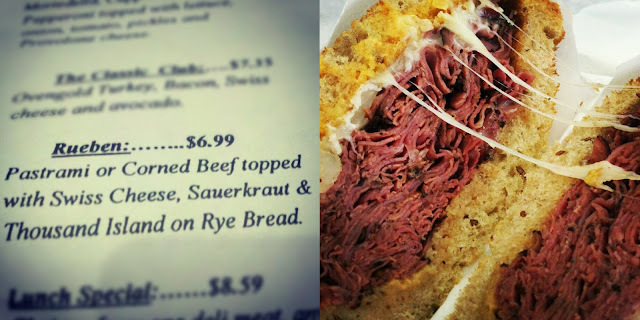 I ordered the reuben with pastrami, and it was tasty and just what I expected. I ate every last crumb. The meat to bread ratio was good - not crazy like Langer's. I thought the sauerkraut was tasty too - not too tangy. Next time, I definitely want to check out the brisket/bbq beef and some other recommendations I saw on Yelp. For the low price of $6.99+ tax, I received a very filling lunch. But now I'm also the guiltiest carb-and-fat loving future bride this side of the Mississipi. Oink.